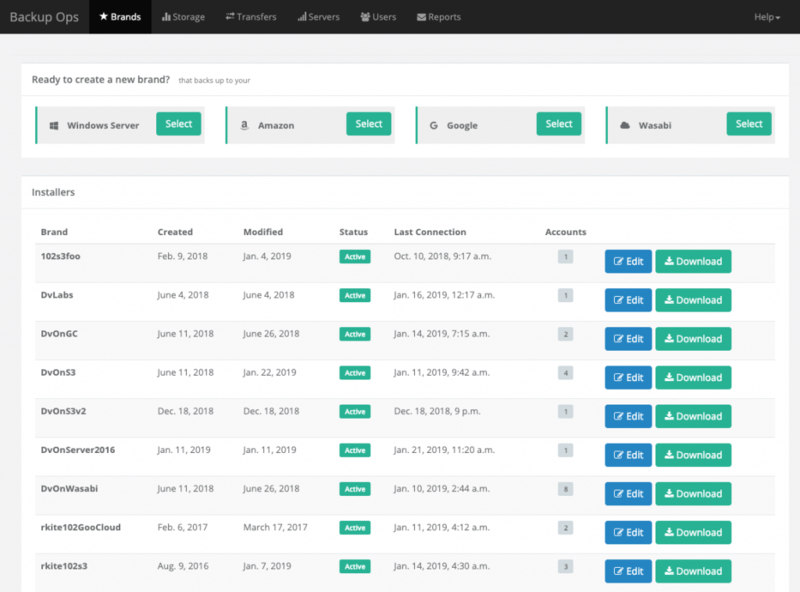 The Web Console & Backup Management Dashboard serves as part of our Cloud Model backup solution in partnership with the WholesaleBackup Client™ and the WholesaleBackup Cloud Storage options, providing you with another modern approach to operating your backup business through a web browser. Pulls together the most important aspects of your backup service business under one roof, making it the command station and go-to place for anything you need. Starting with your brands, you can have as many brands as you like. Feel free to create custom brands for your own customers. We reserve each brand name for you once it is created. No one else on our platform is allowed to build a brand with the same name as yours. Simplified account management, switch users status at the flick of switch from trials status to active or disable. It provides all of the information that resellers need to bill customers. You can see statistics for each computer under each backup account across all of your different brands. If you have multiple brands installed on the same computer then the computer will have an entry in the table for each different account or brand it is using. 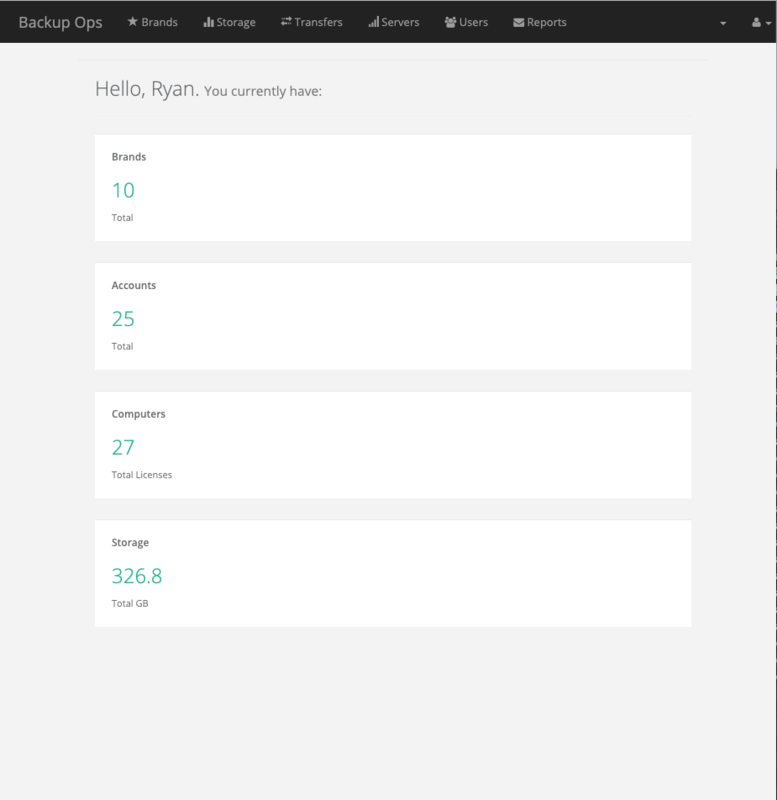 Remotely monitor and manage the backup agent, inspect logs and make configuration changes. Also includes an export selector for generating reports in various formats like JSON, XML, CSV, TXT, SQL and Excel. Great for importing into your billing software making invoicing easy. Clicking on any row in the Transfers area brings up the troubleshooting details pane that provides many helpful features, the panel is color coded to correspond with the status of the operation. 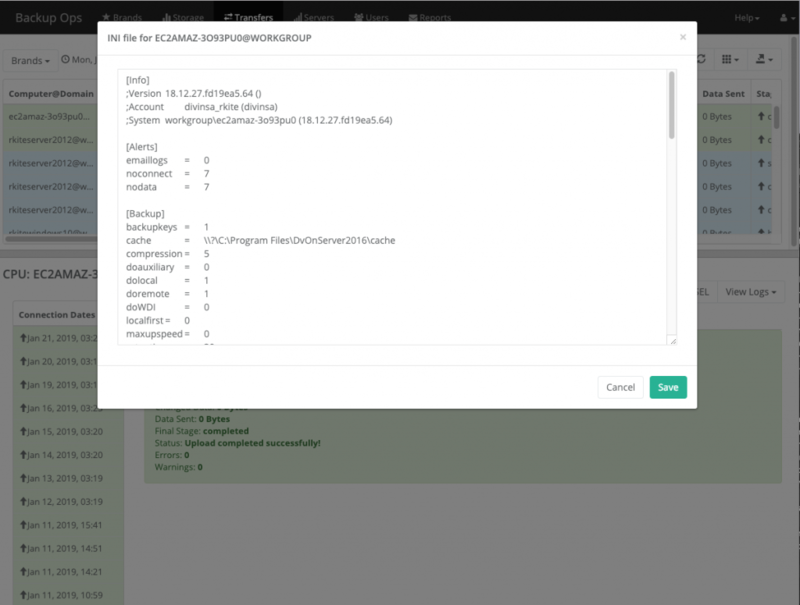 View Logs, Edit the client initialization and selections files which are associated with each backup connection, so you can easily view the logs, edit the settings and change the scope of the file selection.